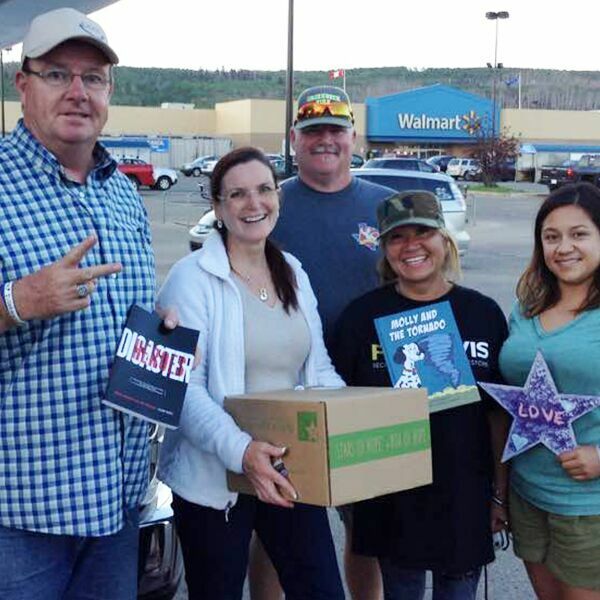 Stars of HOPE® and Paul Davis create a parade of HOPE in Fort McMurray! Fort McMurray, Alberta, Canada has been through so very much. On May 1, 2016 a wildfire began southwest of Fort McMurray. The fire swept through the community, destroying approximately 2,400 homes and buildings and forcing the largest wildfire evacuation of 90,000 residents. On June 1, 2016, Canada Day, the Fort McMurray community was allowed to come home, not knowing what they would find, and Stars of HOPE welcomed them with a parade! Paul Davis, a full-service emergency mitigation, restoration and reconstruction company, working in Fort McMurray, sponsored the Stars of HOPE Community Painting Event on Canada Day. Families were welcome to paint with their children free of charge. Once dry, the Stars of HOPE were hung by volunteers and displayed around Fort Mac for all to see! We are honored to be part of the physical recovery of the community of Fort McMurray after the fires and we are excited to help in the emotional recovery through Stars of HOPE as well.